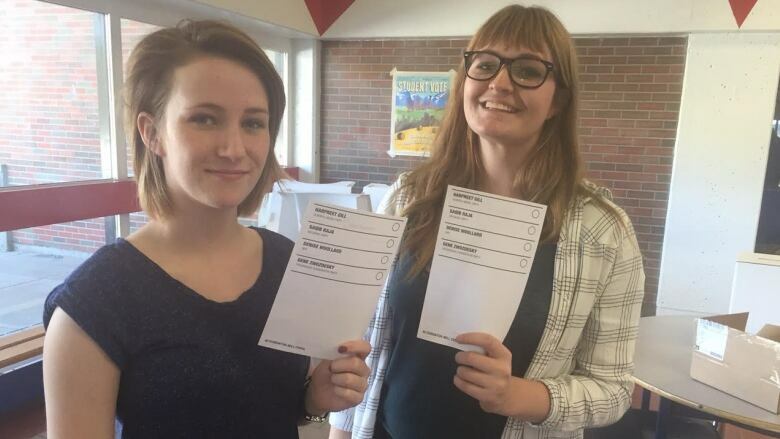 Students in Alberta had their say in this week's election and, like their parents, they also voted for change by turfing the Tories and giving NDP Leader Rachel Notley a majority government. Students in Alberta had their say in this week's election and, like their parents, they voted for change by turfing the Tories and giving NDP Leader Rachel Notley a majority government. More than 90-thousand students voted in a mock election on Monday, and the results were released last night. The results were close to what actually played out on election night, with the NDP winning 53 seats. the Wildrose took 21 seats, while the PCs took 10. 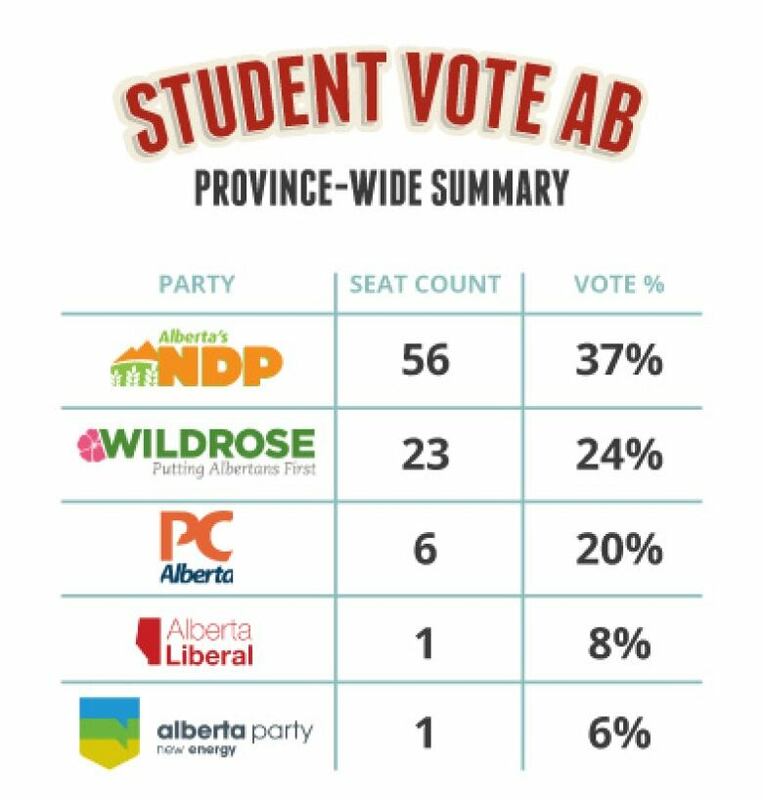 The main difference in student results compared to Tuesday night's numbers were that PC leader Jim Prentice and Wildrose Leader Brian Jean were defeated in their ridings. A total of 831 schools took part in the vote, from every constituency in the province. The student election is run for students by students, and is as close to a 'real' election as possible — with ballot boxes, voting screens and the names of the candidates running in the riding where the school is located. The goal of the voting exercise is to get students more familiar with how elections work, with the hopes they'll vote when they turn 18. In the 2012 provincial election, the student results also closely mirrored the real election, when the Tories won a majority with the Wildrose as official opposition.